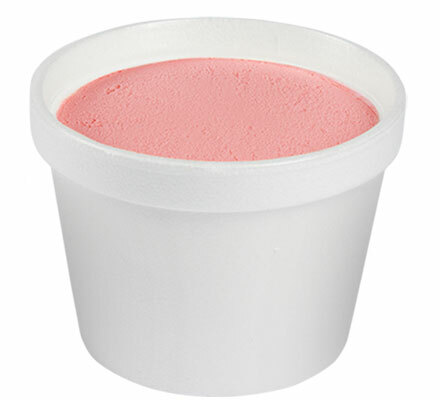 Fresh and fruity strawberry flavored ice cream. Sweet and refreshing. Ingredients: Milk, Cream, Buttermilk, Whey, Corn Syrup, High Fructose Corn Syrup, Skim Milk, Sugar, Contains 2% or less of Natural Strawberry Flavor, Strawberry Juice Concentrate, Citric Acid, Cherry Juice Concentrate, Mono & Diglycerides, Guar Gum, Sodium Phosphate, Cellulose Gum, Sodium Citrate, Carrageenan, Polysorbate 80, Red 40, Blue 1, Annatto for Color.